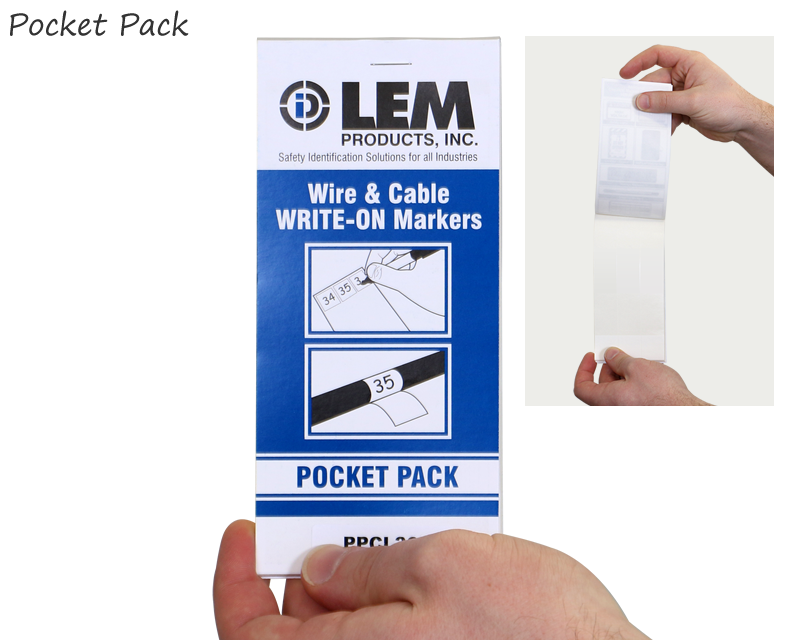 Self-Laminating Wire Write-On Labels are flexible and easy way to mark wires, handles and cabling. 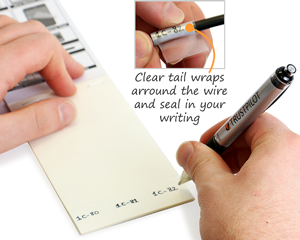 Use our self-laminating wire markers indoors or outdoors. The “head” portion of our labels are white and this area is writable. Use a pen or marker. Once you have written on them, simply loop the clear “tail” of the label over the white portion and keep writing protected. • Vinyl labels have good conformability and can be used for most curved surfaces. • The labels are thick enough to avoid the crinkling and difficult handling associated with many low cost competitive self-laminating markers. The aggressive adhesive works on most irregular surfaces. 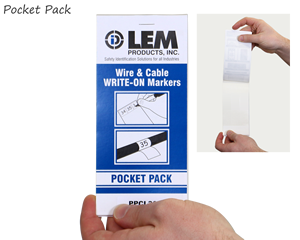 Mark items due for inspection with Write-On Self-Laminating Labels.